This is a nicely executed thin yet sweet sauce from Georgia. The bottle appearance is good and simple. It’s a guy holding a man-sized fork that is impaling a massive slab of ribs. It’s a very small batch sauce as evidenced by the lack of nutritional information a UPC symbol and an address – but not a problem here. The glass bottle has the traditional fat bottom bowling-pin shape. The bottle is a little boring, but let’s get past appearances OK? I’m very eager to give it a try so I crack open the bottle, which is expertly sealed with an outer layer of plastic and a vacuum sealed bottle top. Despite the lack of the other professional label items, I feel more confident now that tasting this sauce will probably NOT hurt me. Now that my trust is back on steady ground, I can open it up and take a whiff. The aroma is remarkably simply sweet. It smells like a vinegar based bbq sauce with a dark sugary finish – maybe brown sugar. I check the ingredients and I love that there are only about six ingredients listed. You got yer Water, Tomato Paste, Salt, Pepper, Sugar, and Spices. And that’s it. I like that. When I tilt the bottle it seems to swish about in the bottle rather quickly – maybe just a step above water in the thinness department. But the lack of viscosity doesn’t necessarily mean the sauce won’t work for backyard grillers. Just keep mopping it on, friends. So I put it into the fridge overnight as suggested by Ralph, the maker of the sauce. 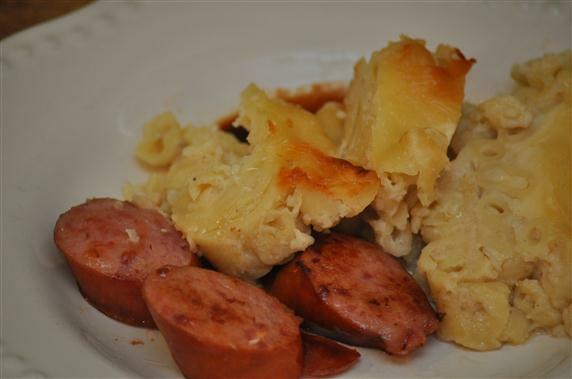 The sauce thickened up a bit – but never did very well on traditional backyard griller fare such as BBQ burgers or chicken. 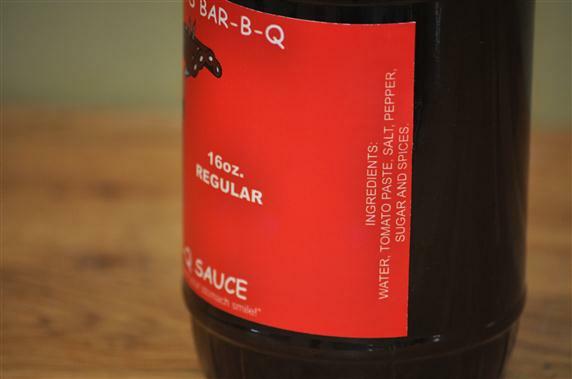 This is however, a great sauce for pulled pork or to add flavor to a meal that you don’t mind making a little puddle and just swooshing the meat and food around the sauce. 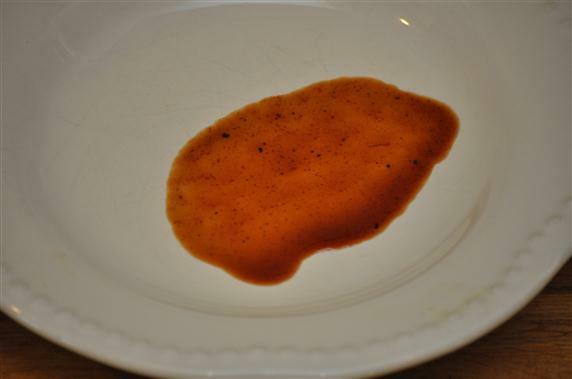 Based on consistency alone it’s a “Eastern North Carolina style” mop sauce – but it’s a lot sweeter … and from Georgia. Maybe that could be the Georgia style right there. 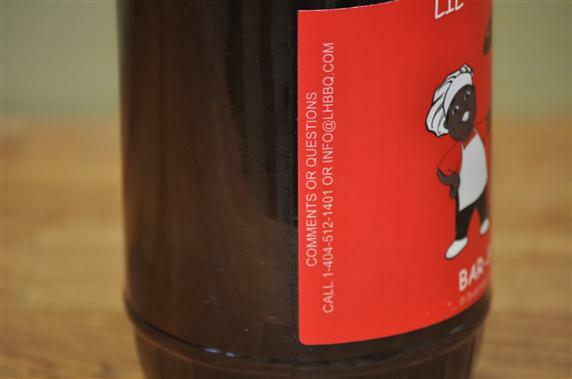 Bottom Line: It’s a good sauce with a great flavor – especially considering the number of ingredients on the label. I would have preferred this flavor to come in a slightly thicker form. 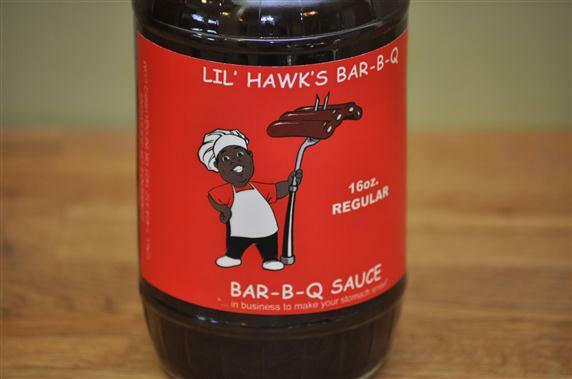 When used as a dipping sauce, Lil Hawks did OK but left pools of sauce behind. I’d recommend it highly but I believe the thinness limits the potential positive impression that this sauce could have on people. Excellent review! I always appreciate your perspective on sauces.